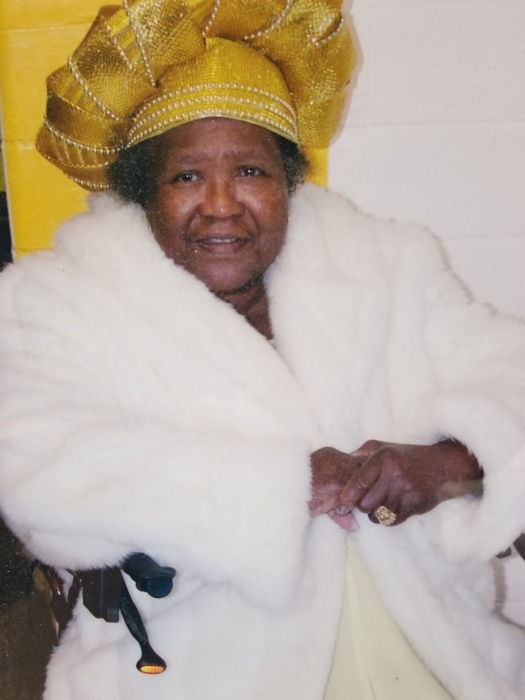 Obituary for Charsie Randolph | L.E. Black, Phillips & Holden Funeral Home Inc.
Services for Mrs. Charsie Adams Randolph, age 90, will take place on Friday, January 25, 2019 at 11:00 a.m. at Bibleland Church of God in Christ, 3767 Jacobs Road, Hubbard, Oh 44425, Mrs. Randolph left this earthly home and entered into eternal life on Monday, January 14, 2019 in Grand Rapids, Michigan. Mrs. Randolph was born October 12, 1928, in Newton, Georgia, a daughter of Emory and Elizabeth Willingham Adams. She, along with her mother, sister and three brothers, moved to Campbell, Ohio in 1946. She first attended Campbell Memorial Junior High School, then moved to Hubbard and attended Reed High School, but dropped out in the 10th grade out of necessity to help support her family. In 1948, she married Benjamin Randolph, to which she gave birth to 5 children. She worked as the lead food service dietitian in the Youngstown Public School System for 19 years. After her children graduated from high school and college, Mrs. Randolph, felt the need to complete her high school education and continued on to college, at age 62. In 1985, she enrolled in Youngstown State University and received her Associates Degree in Applied Science Technology. She later worked as a Preschool Teacher at the United Methodist Community Center. Mrs. Randolph was a faithful member of the Ebenezer Church of God in Christ for 48 years where she served as Sunday School Instructor, District Sunday School Superintendent, and on the Mother's Board. She was full of joy and wisdom and held a special place in the hearts of those with whom she came in contact. After the death of her husband in 1997, she moved to Grand Rapids, MI to live with her daughter. She leaves to cherish her memory, her beloved children, David Randolph and Charsie (James) Sawyer, both of Grand Rapids, MI, Richard Randolph, Columbus, Ohio, and LaTonya Washington, Lake Elsinore, CA. She also leaves to carry on the family legacy, 6 grandchildren, 10 great grandchildren; sisters-in-law, Sarah Adams and Daisy Adams; and a host of family and friends. Besides her parents and beloved husband of 49 years, she was preceded in death by her first born, Benjamin (Dolly) Randolph Jr., her sister Louise (Herman) Jackson and 3 brothers, Emory (Della) Adams, Ben Adams and Thomas Adams. Visitation will be Friday from 10:00 – 11:00 a.m. at the church. Arrangements are entrusted to the L.E. Black, Phillips & Holden Funeral Home.